These subtle dainty champagne glasses for the happy couple are now in stock. Featuring two little butterfly glitter details. The white champagne glasses add a little beauty with detailing to your cake table or top table. Toast the day with your unique champagne glasses. We also have the matching cake knives and slice. These items are for purchase not hire. Crystal Cluster champagne flutes. Gorgeously filled with crystals and bling for that special first toast and the cutting of the cake. The champagne flutes are part of the luxury range. Chrome stem. 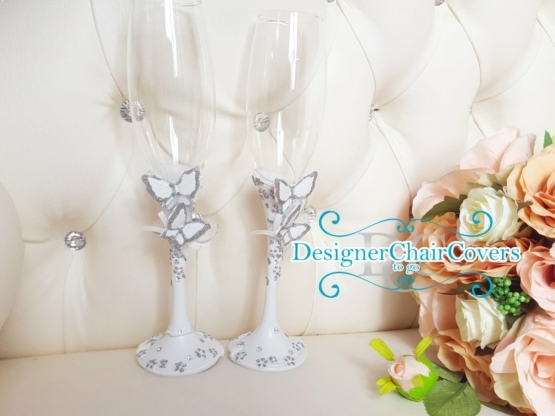 Another beautiful choice of champagne flutes. 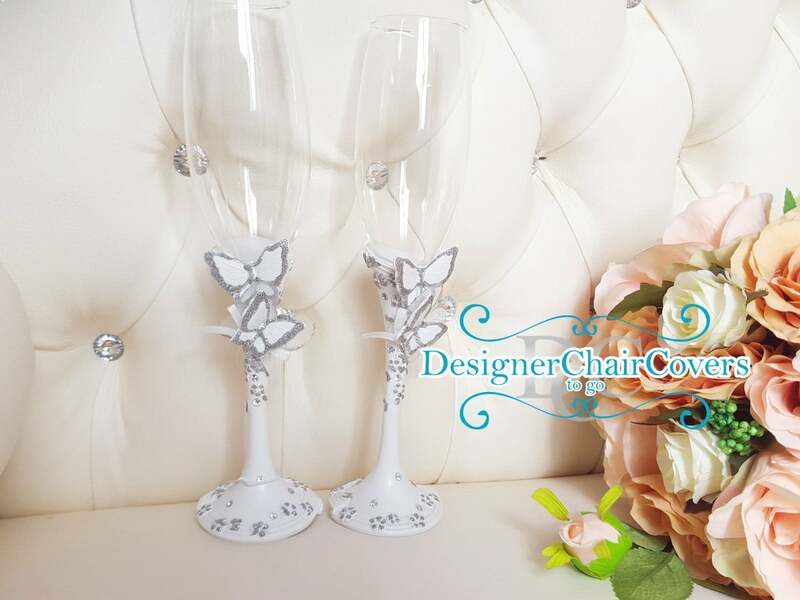 These chrome crystal butterfly champagne flutes are an elegant choice. Understated yet very pretty dress your cake table with these beautiful glasses for the first toast and for the cake cutting.